Hilton Garden Inn Hotel - Washington, D.C.: Dec. 15, 2018. Hilton Garden Inn Hotel (Convention Center) - New Orleans, LA: Dec. 16, 2017. Parc 55 Hilton Hotel - San Francisco, CA: Dec. 17, 2016. Marriott Renaissance Hotel - Palm Springs, CA: Nov. 7-10, 2016. Rixos Libertas Hotel - Dubrovnik, Croatia: May 22-28, 2016. Parc 55 Hilton Hotel - San Francisco, CA: Dec. 19, 2015. Hyatt Regency Hotel - Jeju Island, Korea: Aug. 31 - Sept. 5, 2014. Parc 55 Wyndham Hotel - San Francisco, CA: Dec. 20, 2014. Applied Physics Laboratory, Johns Hopkins University, Laurel, MD - March 10-14, 2014. Geophysical Institute, University of Alaska, Fairbanks, AK - March 25-28, 2013. Harpa Conference Center - Reykjavik, Iceland - March 10-15, 2013. Sir Francis Drake Hotel, San Francisco, CA - December 8, 2012. 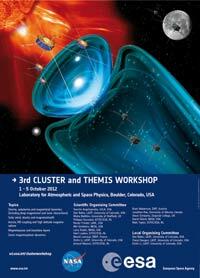 Laboratory for Atmospheric and Space Physics - Boulder, CO - October 1-5, 2012. Hotel Bergström, Lüneburg, Germany - September 2-7, 2012. UCLA, De Neve Plaza, Los Angeles, CA - March 21-23, 2012. Sir Francis Drake Hotel, San Francisco, CA - December 10, 2011. Westin Hotel, Annapolis, MD - September 14-16, 2011. Westmark Hotel and Conference Center - Fairbanks, AK - Feb. 27-Mar. 4, 2011. 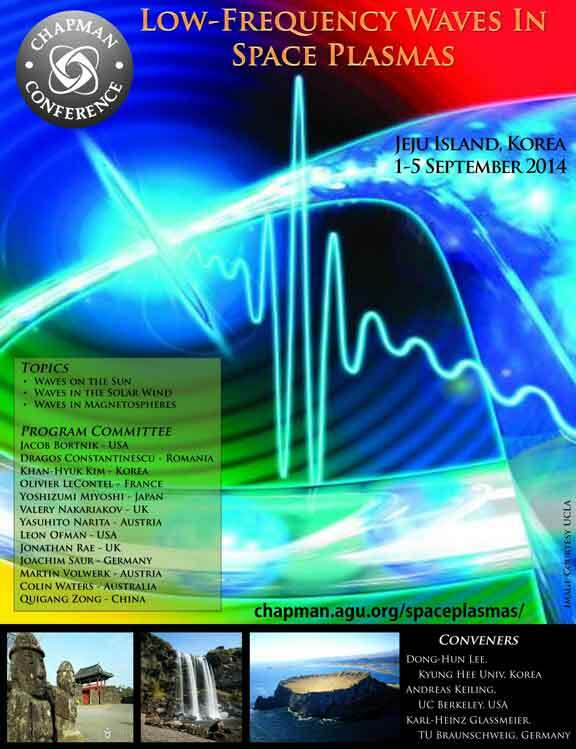 "Multipoint observations of the magnetosphere and its coupling to the ionosphere and the solar wind"
The Science Meeting before THEMIS Launch, will be held at the Radisson Resort at the Port in Cape Canaveral, Florida from February 13-14, 2007.